The history of the Boston University School of Theology is inseparable from the history of Boston University itself. The school was originally a place to train Methodist ministers based in Newbury, Vermont and part of Vermont Seminary. As such, it is the oldest Methodist seminary in the United States. After a brief time in Vermont, the school was moved to Concord, New Hampshire for 20 years and was known as the Methodist General Biblical Institute before it was moved to Boston in 1867 and renamed Boston Theological Seminary. In only four short years, Boston University would be established and the School of Theology would be incorporated into the University as its first graduate school. 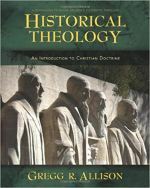 Since that time, Boston's School of Theology has maintained a well-earned reputation in several areas, including philosophical theology, social ethics, and missions. The school has a long history of admitting women and other minority groups, well ahead of its time. The school boasts graduates from Carl FH Henry to Martin Luther King, Jr. Boston's School of Theology (also known as STH) continues its time-honored practice of academic rigor married to real-world implementation. Several advanced degrees are available through BU's STH, including the MDiv, MA, MSM, STM, DMin, and PhD (which recently replaced the ThD degree). Furthermore, a dual degree MDiv/MSW is available through the BU STH and the BU graduate school. The school divides its academic areas into four areas - Biblical and Historical Studies; Philosophy, Theology, and Ethics; Religion, Culture, and Personality; Ministry in Church and Society. The school is highly regarded for many programs, including its interdisciplinary programs in theology and philosophy; religion and science; and religion and counseling. Missions is also a strong component of the BUSTH curriculum as are its social ethics programs. Due to its close association with Boston University, students have the entire university resources to draw upon. Student Life at BUSTH is rich and vibrant and one area that students constantly commend as a highlight of their time here. There are BUSTH-specific activities such as the Mentor Program, Community Lunch Program, and Pastoral Education Program. There are weekly opportunities for worship and spiritual development. Numerous student organizations based on shared interests are also available. 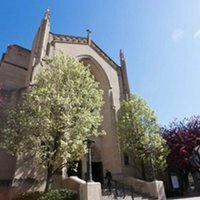 Of course, as students of Boston University, seminarians can draw upon the rich resources of BU, from the many student organizations to the Fitness & Recreation Center. BUSTH offers generous financial aid to all students enrolled in its programs. Students in the Master's level programs are eligible for both need-based financial aid depending on their program. In addition to need-based aid, several scholarships are available based on academic merit or service to the Methodist church. Doctoral students receive full tuition plus a generous stipend.